All the posts from the original SoMa Leadership Council website have been moved to this new site but the readers’ comments did not transfer with them. They are archived below with links to the appropriate posts. This new WordPress site should have fewer quirks and load faster and it has the potential for a lot more features. Post away! Who tagged the Children’s mural? If you’re worried about the adhesive, why not try the solvent on a corner or edge, to see if the adhesive is compromised? Building a brand new neighborhood? building to the KPFA Crafts Fair cannot be overestimated. The Concourse is the bedrock of the fair. The only viable venue in San Francisco for our fair (this year hosting the 41st annual), the building offers many amenities and rental fees are manageable. But what makes it indispensible is its LOCATION. It’s accessible from all over the Bay Area, and not just by auto. To maximize its proximity to public transit, we run free shuttles from the Civic Center BART/MUNI Station, which most of our patrons use. So far, gratefully, we have been able to sustain our event through the economic downturn. The KPFA Crafts Fair (as do many other events) needs the Concourse to continue to thrive. I urge you to give this consideration the highest priority when making decisions regarding the fate of the Concourse. The Entertainment Industry is now well established with its lobby. They have the resources and will soon have most all elected officials in their pockets. They have become what they originally disdained. For the love of the almighty dollar they do not care about people who live and work in SOMA. Their mantra when anyone seeks to dare question their action is the accuse them of “killing fun”. They claim they barely can make a living. Several years ago the Entertainment Industry used the “economic benefit” argument. Even today a Supervisor has asked that a study to review the economic benefit of the industry. However no one has asked what the impacts to the neighborhoods are, to the families and regular people living in SOMA is and has been. There are real impacts, not imagined. Maybe it is time to require Environment Impact Reports on mega clubs (not the neighborhood serving establishments). While we are at it how about an Original and Destination study of those attending the mega clubs. These big box clubs draw mainly from out of town, I am willing to place a large wager on that. Look, it’s easy to control new liquor related business’s….especially nightclubs…… Here is your road map. 1) Keep a sharp eye out for a new ABC license posting on the establishment. The signs are small enough to be mistaken for a building permit. But they have to be conspicuously place in a front window and left in plain sight for 30 days. Pay attention to commercial/retail buildings in your neighborhoods. 2) Take a picture of the posting so you have record of the posting…make sure your photo is close enough so you can read all the information on the face. 3) Write down the date of the posting, name of the applicant, the DBA name and the address of the property. It’s very important to be sure to get the names right. You will have 30 days from the posting date to file a protest with ABC. It can be filed up to the very last day. 4) Get the information to Jim Meko and he will forward it to me and I will file an appeal for free. I will appear at the hearing in Sacramento to fight the granting of the license. 5) If nothing else ABC will grant a license to the applicant with conditions….good neighbor conditions. If the applicant violates their conditions ABC will impose a 30 day or 60 day suspension on the sales of alcohol. Don’t be afraid of entertainment…..you are in control if you follow these simple steps. Jim, I’ll contact you soon and walk you through the process. Thanks for all you have done to make the SoMa a great place to live and work. Jim I don’t understand how you portray yourself as a friend of the entertainment industry and then write and act in ways that continue to undermine it. I wish I’d clicked the link on the email to read the rest of this op-ed piece earlier. Its indicative of the questionable approach you’ve taken by quoting selects from a personal email to you about concerns for the neighbor on Juniper and our broken policies regarding the arts and entertainment communities in SoMa in a public forum to try to incense the neighbors. I have a history of working with civic groups for better communication in central SoMa and have spoken against projects that demolish our historical and artistic resources to make way for more unnecessary market rate housing or big box mall projects. We both tend to question the neighborhood changing large scale projects and I applaud you for your efforts and success at bringing those issues to bear. While on the Entertainment Commission I informed you of the actions of a bad SFPD officer who was leading the very real war on fun (last round 2008-2010) in SoMa, The shuttered Caliente is an example of that fallout. You could have acted to address this but instead mocked it and now that officer has cost the city $50,000 in a recent abuse lawsuit and finally been reassigned. I respect your community activism and am not interested in becoming your enemy, however I fundamentally disagree with your historical view and approach concerning nightlife in SoMa. For the SoMa Leadership Council comment board. I have been frustrated with the S.L.C. as a personal vehicle for the chair’s agenda and had decided to stop attending after the attacks on the Mid Market PAC and in trying to devolve the founding nature of the Entertainment Commission, regardless of the facts and opinions expressed by the community in attendance of those meetings. That is why I supported a different candidate for the EC seat. I am uncertain after the limited live performance permit received the endorsement of the Small Business Commission, the Entertainment Commission, the Planning Commission and the local supervisor for expansion in SoMa how its implementation was withheld here. This was a great blow to our artists and performers. “Follow the money” will lead you to many folks who live at the poverty line to bring the citizens of SF music performance and culture and fuel our tourism trade, one of SF’s largest economies that does significantly fill the cities coffers. Some people make money, and the city definitely benefits, many do it for the love. SoMa is the Arts and Entertainment capital of San Francisco. It is a necessary local and regional resource that helps keep San Francisco the great internationally renowned city it is. However our current land use policies and poor actions from select players on both sides of the debate are continuing to eat away at its viability. People are coming to the neighborhood for the jobs nightlife museums and culture. Appropriate housing is important but the vast bulk of San Francisco is a quiet residential zone. If we do not plan for fun, here where it already thrives, then we will permanently lose the resources that make San Francisco a city of arts and innovation. How can we allow new entertainment permits on Valencia st, a very mixed use neighborhood and not on Folsom st, with a few exceptions a commercial corridor known world wide for its nightlife community and street fair? In regards to the neighbor on Juniper they have broken elements of their deed agreement to respect the proximate uses and other neighbors on the street I’ve interviewed think they are out of line. It is a senseless attack on one of San Francisco’s best run establishments that only weakens the argument to curb our entertainment community because of a lack of respect and myopic view of the importance of the diversity in this neighborhood. And this is without touching the Artist Live/Work Loft Lie that built these types of units while decimating the once thriving arts population it was meant to promote. The ban on entertainment is a serious blow to our remaining arts / performance community and the residents battling this issue need to know the full ramifications of their actions. The individual in the comment above offering to fight every ABC permit in Sacramento regardless of merit is doing the community a disservice. I look forward to discussing these issues in an open forum and appreciate the opportunity to do so. I believe the continued effort to undermine the culture that has bloomed and survived for decades on 11th st and Folsom st is wrong for San Francisco and I appreciate Herrera’s efforts to develop a policy and conversation on the matter. We are all residents, business operators, and the characters that make up SoMa and entitled to our unifying and disparate beliefs, all power to you in your endeavors. Who in their right mind would propose creating an entertainment zone in an area that already has a long history of conflict between neighbors and the existing nighttime entertainment venues? Certainly not anyone who lives here. And it’s unlikely that many of the hundreds of people expected to increase the residential density of the neighborhood over the next twenty years would choose to live in a 24/7 tourist-oriented alcohol theme park either. I don’t even know of any responsible nightclub owners who see much value in the idea. Most comparable zones around the country are tacky imitations of home grown pop culture. This idea is almost always proposed by those who are new to the area and don’t have any respect for our history and it always has a punitive aspect to it. 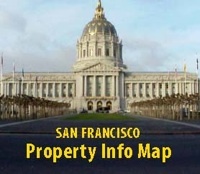 Gavin Newsom’s proposal back in the ’90s would have imposed a Notice of Special Restriction on every home in the district, effectively reducing the saleability and value of everyone’s property and Skot’s proposal to the Western SoMa Task Force would change homeowners’ status from as-of-right to non-conforming. The zoning changes proposed by the Task Force would liberalize entertainment controls in 65% of the neighborhood. Isn’t that pretty damn good? Must we take away the citizens’ right to the peaceful and quiet use and enjoyment of their home too just because you think “they have proven to not have a comprehensive vision and are myopic in their self interest.” Speak for yourself. What planet did you arrive from? Wow you really must be politically connected cause you haven’t got a clue to how pissed people living in “club land” really are with the kiddies from the east bay that come here to party….not one clue. Mind your manners folks or I’ll delete the entire thread. Please respect each other. Please please please yes yes yes. We’re Bureaucrating as fast as we can . . . I echo those thoughts – what a wonderful idea. Aug 15 and 17, 11 a.m.-1 p.m. and 5-7 p.m.
Yes…yes…yes there’s a new sheriff in town Billy and he ain’t like the old sheriff. Like it or not Mr. Scotty wants this town to party…party….party. The guy and his party doll Ms. Kim want to dance the night a way………..I can hear the DJ’s pumping out the Jams now!!! Mr. Scotty who lives in the Castro but seem to have his eyes set on the west SoMa can’t wait to jam with Ms.Ana Conda at the first annual entertainment commission ball! Yes…yes I can see him now….Ms. Kim on one arm and Ana on the other with DJ Ross kicking out the jams. Parrrrrrrtey…….Parrrrrtey. Who cares what the neighbors want as long as we can dance…dance …dance the night away. Welcome to the new San Francisco folks …..you got a problem…take it up the entertainment commission……Ms. Ana Conda will hear your complaints now………. Actually this is just the type of thing that it will take to mobilize SOMA residents to take control of their neighborhoods. Perhaps they will take on the Entertainment Commission and the big business big money entertainment interests it represents. David vs. Goliath is just what the doctor ordered. Lets fast forward to once this goes down and see how things shake out. Let’s mind our manners, folks. After reviewing and discussing the details of the proposed Limited Live Entertainment Legislation with your staff and members from the Small Business Commission regarding your position, it is clear to us that you have not yet been convinced to yield your position for allowing entertainment as proposed in the legislation in South Park. For some unknown reason you are ignoring our objections to the changes this legislation will make to the existing zoning in South Park. I took the time to speak with several other Supervisor’s offices, including Supervisor Mikarimi’s office regarding South Park District (SPD) being excluded from the legislation. It became clear to me that the other Supervisors are deferring to you for guidance on the legislation in your district 6 and are reluctant to support us without your approval. We were also informed that you had explicitly requested that South Park be included in the legislation even over the objections of the residents and the silence from the businesses or others if there are any in support. You have received emails from several property owners, business owners and residents expressing our opposition to modifying the existing South Park District (SPD) zoning where entertainment is not currently permitted in South Park. Your office has not produced one letter from a resident, tenant, business or property owner supporting this change to the existing zoning surrounding the park. If you have such a letter or support please pass it along to those of us opposing the legislation so we can understand your position and the position of those in South Park who support changing the SPD zoning. If such support exists in South Park it is important that it not be hidden, so that future cooperation can be established early on. Our past experience with business owners has been very positive and without identifying who the players are, we can not cooperatively co-exist. As part of the East SoMa rezoning efforts our neighborhood went through ten years of exhaustive planning review. The plan was reviewed, vetted, and unanimously approved by the San Francisco Planning Commission, and Board of Supervisors in 2010. As part of that process the property owners, business owners, tenants and residents decided not to allow entertainment in SPD and this decision was an open part of the public process. We are two blocks from the largest entertainment venue in the city, AT&T Park. Our neighborhood is enjoyed by visitors and fans throughout the year. Fans and event attendees use South Park for tailgate parties before and after events at AT&T Park. Events end as late as 10PM on weeknights and weekends and attendees often linger for hours afterwords. During the planning process South Park residents and businesses formed a consensus and decided that South Park would not benefit from live entertainment venues, limited or otherwise. Sharing the respite of this small city park with event attendees and others most of the year was the rationale behind not permitting entertainment in South Park. Many people ( approx. 200+) live in this small neighborhood and we decided based on our experience over the years how to best deal with entertainment issues so we could coexist with the millions of visitors and preserve the quality of quiet solitude in an otherwise edgy neighborhood. We support this legislation, but based upon years of discussions do not think it has a place in South Park. The rezoning process for East SoMa was open, public and exhaustive, going all the way back to the days when Dean Macrus was Planning Director and our area was a forgotten wasteland. Thousands of volunteer hours, hundreds of public meeting and dozens of public hearings went into the crafting of the permanent zoning controls for the neighborhoods in the East SoMa. These zoning controls were unanimously approved by the Board of Supervisors. Now you want to undo what took over ten years to achieve through a very public process and was finally approved shortly before you took office. This item will be heard one more time in committee and we are again are requesting that you strike and remove South Park District (SPD) from the legislation, Re:Case No 2011.0526T [Board File No. 11‐0506]. Well said. As a resident of West SOMA our neighborhood is being to feel that our collective voice (well over 450 residents in about three square blocks) is not being heard on this issue as well. It is now clear that the almighty dollar, and the mantra, “we are killing fun”, has ruled the day. At some point this is going to backfire and it is unfortunate that this has been thrust down our collective throats by a relatively small but very powerful entertainment industry lobby group. I no longer fear that “downtown interests” will destroy SOMA, but rather the greed behind the entertainment industry and the games that they play. Update: LLP passed on first reading today by a vote of 11-0. Supervisors David Chiu and Mark Farrell both amended the measure to spare specific areas of their Districts from the possibility that live performances might be extended beyond the 10:00 p.m. shutoff time that’s required for the first year. The Supes are now off on break and won’t meet again until September 6, at which point the legislation will be back for second reading. Board votes 11-0 to adopt Community Stabilization Policy resolution!!! Adult supervision? Was that the message from last night’s meeting? Keep the burden of rules and requirements for permits to a minimum and encourage more responsible behavior from the organizers of underground events? Is it a public or private event? Is it just a gathering of friends — albeit in the world of Twitter and Facebook, “friends” is an evolving concept — or is the event really just another way to make a buck? Does the “rent party” option in the Planning Code work? Are our bureaucratic systems keeping up with social change? It was nice to have participants from the underground arts and events community at the meeting last night. Update: both Mark Farrell and Sean Elsbernd had objections. Farrell was uncomfortable with the CAC having authority to make policy recommendations (that’s what CACs are for) and Elsbernd questioned the appointment process. As it now stands, Jane Kim would appoint all eleven members. Some sort of split appointments will probably be incorporated into the legislation which was continued for two weeks. Aren’t SROs supposed to have sprinklers? The hotel was recently renovated with Redevelopment money. You’d think sprinklers would have been part of the package, wouldn’t you.